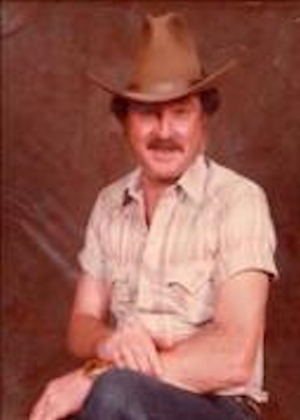 Obituary – Pritchett, Kenneth Frank « Perry High School Alumni Association, Inc.
Kenneth Pritchett, 74, died on June 11, 2015 at Integris Baptist Hospital in Oklahoma City, Oklahoma. His services will be held at 10 a.m. Monday, June 15, 2015 at the First Christian Church, Perry, OK with burial to follow at Grace Hill Cemetery under the direction of Palmer Marler Funeral Home of Perry. Visitation will be held from 2 p.m. to 8 p.m. on Sunday June 14, 2015, with family visitation from 6 p.m. to 8 p.m.
Kenneth was born in Perry to Paul and Lila (Loula) Pritchett on October 5, 1940. 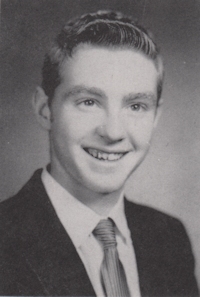 He grew up in Perry and graduated from Perry High School in 1958. After high school, Kenneth furthered his education by attending school in Chicago, Illinois in automotive repair and front end alignment where he finished at the top of his class. He worked as a service manager at Wilson Chevrolet in Perry, and head mechanic for the City of Perry, before opening his own mechanic shop in 1985. Kenneth was an honest and trustworthy man, treating his family and customers with respect. He married Linda Cox on May 27, 1983 at their home in Perry. They spent 32 loving years together. He loved spending time with his family, especially in the outdoors fishing, hunting, and camping. He also enjoyed spending time with and spoiling his two dogs. He is survived by his wife, Linda of the home; two daughters, Vickie Jackson and her husband Steve of Davenport, OK., Amber Ellis and husband, Shawn of Enid, OK.; son Kenny Pritchett, Perry, OK; step-son Rocky Jack, Ponca City, OK; step-daughter Belinda Layton, Stillwater, OK; brother Hal Pritchett and wife Carol of Perry and sister Paula Kay (Pritchett) Thompson, Fort Worth, Texas along with numerous grandchildren, nieces and nephews. He was preceded in death by both parents and his maternal grandmother Tillie Loula. Memorials contributions may be made to the Noble County Paws, in care of Palmer Marler Funeral Home, P.O. Box 189, Perry, Oklahoma 73077.